We design and study vObj, a calculus and dependent type system for objects and classes which can have types as members. Type members can be aliases, abstract types, or new types. The type system can model the essential concepts of JAVA’s inner classes as well as virtual types and family polymorphism found in BETA or GBETA. It can also model most concepts of SML-style module systems, including sharing constraints and higher-order functors, but excluding applicative functors. 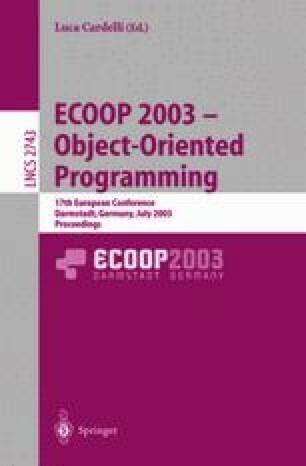 The type system can thus be used as a basis for unifying concepts that so far existed in parallel in advanced object systems and in module systems. The paper presents results on confluence of the calculus, soundness of the type system, and undecidability of type checking.